No one follows house trends more than the home and design experts at Houzz. As we work with our custom home building clients across southern Colorado, we often encourage our families to create their own Houzz idea books to help research, collect, and organize their wants and desires for their new Colorado custom home. The kitchen, often referred to as the heart of the home, is one of the main areas of focus for a custom home buyer. This year kitchen designers across the nation are predicting nine trends that will define kitchen design in 2016. From soft, muted color palettes to nod towards midcentury modern, you’ll want to checkout these kitchen design ideas that will have you cooking up a plan for a new custom home in 2016! 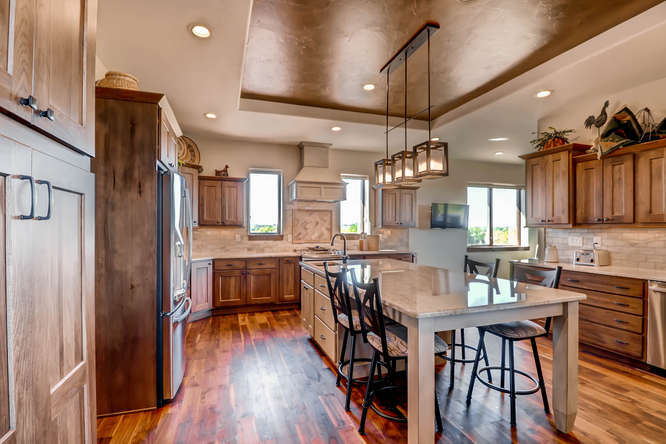 At Pioneer West Homes, the leading Energy Star custom home builder in Southern Colorado, we love great kitchen design trends as much as we love the great kitchens in the homes we build. About Pioneer West Homes: The only home builder in Southern Colorado to commit to building 100% of our Colorado Custom Homes to the Energy Star Version 3 Standard, Pioneer West Homes is celebrating our 10th anniversary of building trendsetting and energy efficient custom homes in Colorado and New Mexico. Pioneer West Homes is the recipient of numerous Parade of Homes awards from the Pueblo Association of Homes Builders and the Housing and Building Association of Colorado Springs.